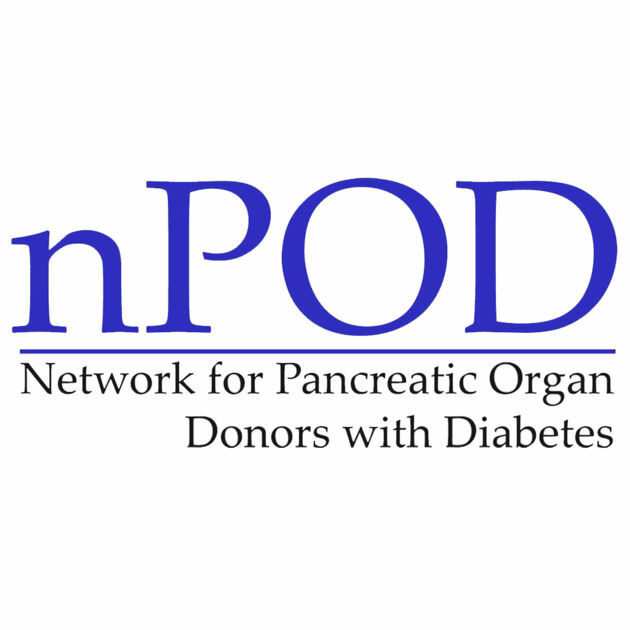 The Network for Pancreatic Organ Donors with Diabetes (nPOD) is a collaborative type 1 diabetes research project funded by JDRF. nPOD supports scientific investigators by providing, without cost, rare and difficult to obtain tissues beneficial to their research. nPOD currently supports over 120 type 1 diabetes – related scientific studies at institutions around the world, to provide a useful resource to the community of researchers dedicated to finding a cure for type 1 diabetes. Why is nPOD so important? nPOD studies show that insulin-positive beta cells can be present for many years after diagnosis. If beta cells persist, maybe we can find a way to stop inflammation at diagnosis and preserve some beta cell function, thus reducing or stopping complications. Analysis of the nPOD samples suggests there may be a link between enteroviruses with T1D. Enteroviruses (EV) are common viruses; there are more than 100 types. Most people infected with EV have no symptoms or only mild symptoms, but some infections can be serious. Importantly, signs of enteroviral infection are seen also in those nPOD donors with a longer duration of disease. This finding suggests a persistence of a viral infection or by the occurrence of multiple infections over time. This research may lead to a vaccine development and clinical trials. nPOD studied the pancreas weights of healthy individuals compared to people in various stages of type 1 diabetes. They found that a T1D pancreas has reduced weight compared to those of nondiabetic donors. The research suggests that the size and structure of a pancreas may be different in those that are on their way to developing type 1 well before they get the disease. Sort of a way to transplant beta cells or to bring them back to life, there is no way to improve the function of the pancreas to release insulin. But even with Type 1, you can improve insulin sensitivity and make it possible for them to use less insulin. Whole foods plant based, raw or cooked can do this. I think I signed up. I hope I did anyway.